The following are some of the common QA Interview questions. The answers are more relevant and showcase your knowledge when answered with reference to a project you have worked on. 1. What are the different components of a System Test Plan? 2. What is the difference between a use case and a test case? 3. How is UAT different from System Testing? 4. What is the difference between a bug severity and priority? 5. What is the difference between Blackbox and Whitebox testing? 6. What is the V-model of testing? 7. What artefacts or documents do you use to come up with Test Cases? 8. What tools have you used during testing in your previous projects? 9. Has using tools helped you in the testing process? If so, how? 10. What was the process you followed during the testing phase? 11. Have you faced any problem regarding defects with the developers? If so, how did you resolve it? 12. What are some of the most interesting defects you have encountered thus far in your projects and why? 13. What is the most interesting software project you have worked on and why? 14. How do you handle conflicts in the team and when do you escalate issues? 15. What are the metrics you have collected during testing and how have they helped you? 16. 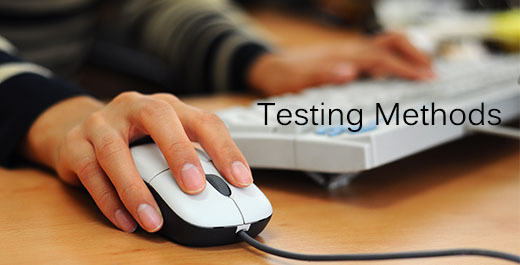 What is Regression testing? How do you choose which test cases to run during Regression? 17. How do you decide the test environment, what do you base it on? 18. How do you create test data? 19. How do you accept a Build or Release for a test cycle? 20. What are the lessons you have learnt from your previous projects? 21. How do you decide what tests to do in a time crunch? And can you give me an example. 22. Can you estimate the coverage from test cases run? 23. How do you optimize or reduce the number of test cases/test data combination? 24. How do you reduce re-work during the testing phase? 25. How do you know or what do you do to ensure you have a good coverage of test cases or have covered all the test cases possible? 26. Have you heard of the Pareto principle (80-20 rule) and have you applied it to your testing process? 27. What are some of the common programming errors and how can testers catch them? 28. How important is it to check the backend or database during testing? 29. What are some of the qualities of a good defect report? 30. What is the importance of reviews? 31. How do you ensure you complete your work on time? 32. What is your chosen mode of communication with team members, Team Lead and Manager? 33. Have you done any certifications and how have they helped you? 34. Have you won any awards in your previous project and what for? 35. Can you provide me with examples of any mentoring or knowledge-sharing you have done? 36. Can you provide me with examples of going the extra mile for a project and if it benefitted the project and how? 37. How do you do effort estimation? 38. How do you decide on the number of test cycles to be condcuted? 39. Would your test plan or test cases be different if one of the components of the system is a 3rd party software? 40. What is the difference between a functional and a non-functional requirement? 41. How do you ensure that both functional and non-functional requirements are captured in the Requirements document? 42. How do you decide the scope of testing? 43. How are non-functional requirements tested? 44. What are the various tests that fall under Non-functional testing? 45. What is the difference between authentication and authorization? 46. Do you understand the difference between roles and permissions? 47. Can you explain browsers, cache, firewalls and how they can affect testing? 48. Can you give us an example of your assertiveness in a situation? 49. Can you give us an example of leadership skills (even if you are a tester) you have dispalyed during a project? 50. How do you ensure your test cases are re-usable? 51. In what situations, would you automate your test cases? 52. When would automation fail or be non-feasible? 53. Have you used TOAD? Examples of SQL queries. 54. What is your experience on Unix, Linux platforms? Can you connect, ftp, do the basic files related commands? Give us an example. 55. Can you understand a XML dtd? Has this knowledge helped you in any project? 56. What is your Windows testing experience? What is the difference between a Windows application and a Windows service? What are the different things you would look at during Windows testing? 57. What is ‘core dump’? Have you encountered it before? 58. What is the diffrence between debugging and testing? 59. 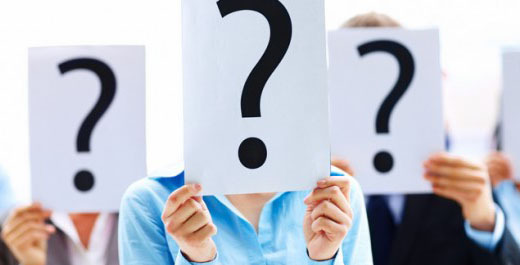 Have you encountered any missing, incorrect or ambiguous requirements? Can you give us an example. 60. If there was no process what so ever, what are the few important things you would insist upon before you start testing? 61. Have you conducted exploratory testing? Give us an example. 62. Have you used the ‘Error Guessing’ technique? Give us an example.